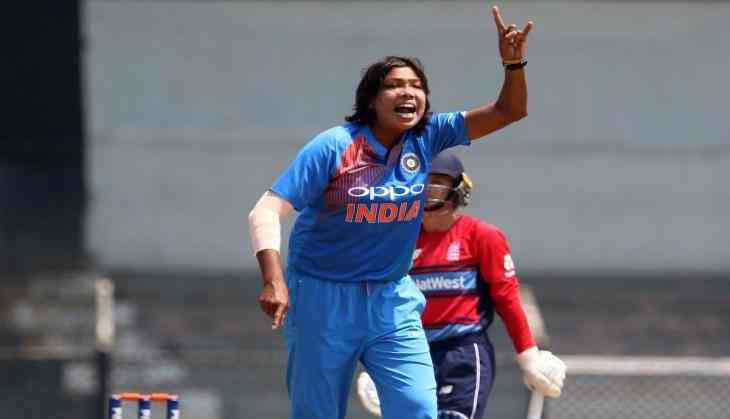 The Board of Control for Cricket in India (BCCI) announced that India's women veteran pacer Jhulan Goswami has taken retirement from the shortest format of the game. "Goswami thanked the BCCI and her teammates for all the love and support she garnered during her stint with the T20I team and wished them luck going forward. BCCI and the entire Women’s national team wishes her the best and looks forward to her valuable contributions when she represents India in other two formats," the BCCI statement read. Jhulan Goswami has played 68 T20Is in which she scalped 56 wickets. Her retirement comes ahead of the ICC Women's World T20 2018 in the Caribbean in November this year. The right-arm Indian pacer Jhulan Goswami will continue to play in the ODI format. She has played 169 ODIs in which she has scalped 203 wickets at an average of 21.77. Jhulan Goswami was also part of the historic one-off T20 exhibition game played during the IPL where women cricketers from other countries also took part. Also Read: IPL Fixing: IPL investigator makes a shocking revelation about this top Indian cricketer was in touch with a well known bookie!